Wait a minute, that's not in Humboldt County. 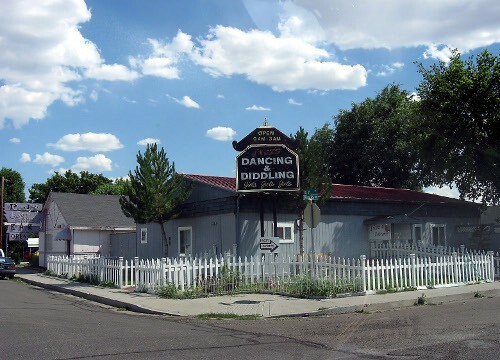 But Inez's Dancing & Diddling Girls Girls Girls isn't far from the Humboldt River -- Nevada's longest (river), which begins in this lovely town that is home to Inez's and other such charm schools for girls. That is -- nevermind. And the Humboldt National Forest is nearby. Indeed, the economic news in this community of 19,000 is astonishingly cheerful: Housing prices are stable. Commercial building is up. Tourist events are drawing bigger crowds than last year. Unemployment is about as low as you'll find [6 percent, up from 3.5 percent last year]. The casinos are down only slightly. And the town's four legal brothels are having a busy summer. Yes, it's because of the gold boom. Well, whatever. My friend Susan has weighed in on our Best-of-Humboldt issue -- coming up soon! Get your votes in! 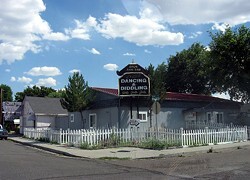 -- and she says Inez's is, in fact, her pick for the best-named brothel in town. Although, she says, she's personally partial to the name "Sue's Place." Of course.